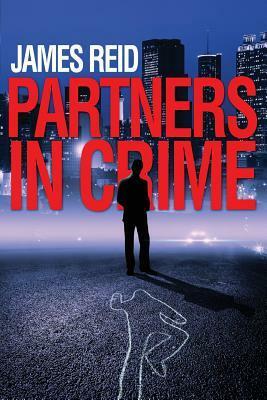 Win a FREE, signed copy of Partners In Crime! Yes, you can escape with a good read and save money at the same time! No, this is not an April Fool’s Joke. My publicist and Chief Marketing Officer (which consists of only me) felt that instead of just playing jokes on people to mark April 1st, I can play jokes on people AND provide a gift for the hardworking people out there. Click below to enter your name for one of two free copies of my debut novel Partners in Crime from Goodreads. That’s all you have to do. Enjoy! Giveaway ends on tax day, April 15th! Giveaway ends April 15, 2014. See the giveaway details at Goodreads. This entry was posted in Writing and tagged aspiring writers, book promotion, detective, detective fiction, Jamesreid-author, murder mystery, mystery novel, police procedural, writers on April 1, 2014 by J Reid. In a previous post dated January 8, 2014, I stated that every aspiring author has been told to write about what you know. Yet, some focus only on their existing knowledge, which is usually limited to their day jobs. Even though they might want to create the next great American legal thriller, they don’t believe they’re qualified to do it if they aren’t parading through courtrooms every day, hypnotizing juries with skilled wordplay. So they get stuck and never start. Or they force themselves to write about things that doesn’t excite them as much. Which means people won’t be excited to read them, either. In case you find yourself in that situation, I’d like to save you some time. My previous post shared some things I learned as I wrote my first novel, Partners In Crime. The first step I outlined was to start with Data Research. Obviously, this is crucial, especially if you want to write about something in which you have little to no daily experience. People who don’t know what I do for a living usually think I’m a cop after they read my detective novel. Some express surprise when I tell them I’ve never worked in law enforcement. So gathering tons of data certainly helped me. a) Ask around! In this example, start by asking friends and coworkers if they know any attorneys or paralegals. Someone always knows someone who knows someone. Ask for referrals or contacts if you can’t access your targeted people directly. Some of the best leads will come from those you least expect (it was an unexpected lead that helped me interview homicide detectives, go on ride-alongs, and visit crime scenes). b) Join a local writer’s group. They are filled with people just like you, people yearning to share their colorful stories with the world. Every writer’s group I joined had someone who knew someone who I needed to talk to. You can find them on the internet or through sites like Meetup.com. c) Go to writer’s conferences. These present an incredible wealth of knowledge. They will have workshops devoted to helping you improve your writing in your particular genre. They’ll have various subject matter experts serving as guest speakers and they’ll tell you what you need in order for your book to sound authentic. d) Find trade shows or conferences where your subject matter experts are likely to attend. For example, I’ve met police officers at gun shows, martial arts and Brazilian jiu-jitsu tournaments, etc. e) Find professional groups. If you’re that aircraft mechanic wanting to be the next John Grisham, network with attorney’s groups. There are a billion lawyers in this country, so you should be able to find some legal group nearby. Many of them have charitable functions, fundraisers, and other events open to the public that you can attend. f) Be Honest. When you meet the people you need to, get them talking about themselves first. That warms them up. Then simply tell them you’re working on a book about ______ and you’d love to take them out to lunch to pick their brains. You’d be surprised at how helpful people are once you start talking to them. I haven’t had anyone turn down a free lunch yet. This is important. As a first-time published author, I initially felt I had to prove my research by stuffing my book with a billion details. But as I kept writing, I realized it was less about the details and more about the character interaction, plot, pacing, suspense, etc. Realistic details are important, but you don’t need all of them. Sprinkling a few authentic details here and there will do. While you still need to conduct your research and know these things, putting the right details in the right places at the right times will work wonders. Now these are just the things that I’ve found to be helpful for me. There are plenty of other things that people can do to gather insight that helps them create great stories and smash the boundaries of their everyday lives. For those who have finished books, what are some ideas you’ve found helpful? Don’t know much? Write about it! Every writer has heard the adage: write about what you know. It’s sound advice. It gives your words confidence and credibility. But what if you want to go beyond your expertise? I’ve met aspiring writers who want to do this, but they limit their scope to what they do for a living. As a result, they get stuck figuring out how and where to start exploring new territory. This isn’t a problem for everyone, but if you’re glued to the starting blocks, I’d like to help. This screams “no-brainer”, but many people don’t do enough of it. Fiction must read as truthful as non-fiction. So if you include a terribly inaccurate detail in your story (such as having a positive DNA match convict someone years before DNA was actually used), readers will hate you. Okay, they might not really hate you. But you’d better believe someone will know you’re wrong and you’ll lose credibility. For Partners in Crime, I studied forensic investigation, reviewed Georgia statutes, ordered criminal law textbooks, and even watched autopsies online. But how did I know what I needed to research, if I never worked as a homicide detective? It’s an easy answer but not an easy task. Let’s say you want to write a legal thriller with corporate espionage, but you know nothing about that world. You can just start with Google search terms, such as “legal information” or “corporate espionage”, and you’ll find information about trademark and patent laws, sites with free legal information like http://www.nolo.com, actual examples of companies stealing secrets and how they did it, etc. Easy? Yes, but the key is to keep searching, to keep reviewing things beyond the first page of results, and to keep tumbling down that rabbit hole. This generates more questions and subjects to investigate. You’ll come across things you never considered but need to know. In another post, I’ll talk about actually finding people you need to meet, but before that happens, you need your facts. Folks are more likely to help if you’ve done your work. It took me almost eight years to complete my book and I had to discipline myself to research even minor details for the entire time. Some days, I spent 100% of my writing time on it. In fact, I gathered data for months before I even started the book. Depending on your subject, your data will likely change from when you first reviewed it to when you write about it. For that legal thriller, you’ll need to be up-to-date with the law if your story is set in the present day. So don’t expect to surf Google for a couple of hours and think that’s enough. You should be reading other books in your genre already. It will help you understand what works and what doesn’t. Never rely solely on movies or television. While they can be good resources, they’re notorious for fudging real-life authenticity to appease audiences. If you want to write about things outside of your realm, you’ll need to be as authentic as possible to stay credible to readers. 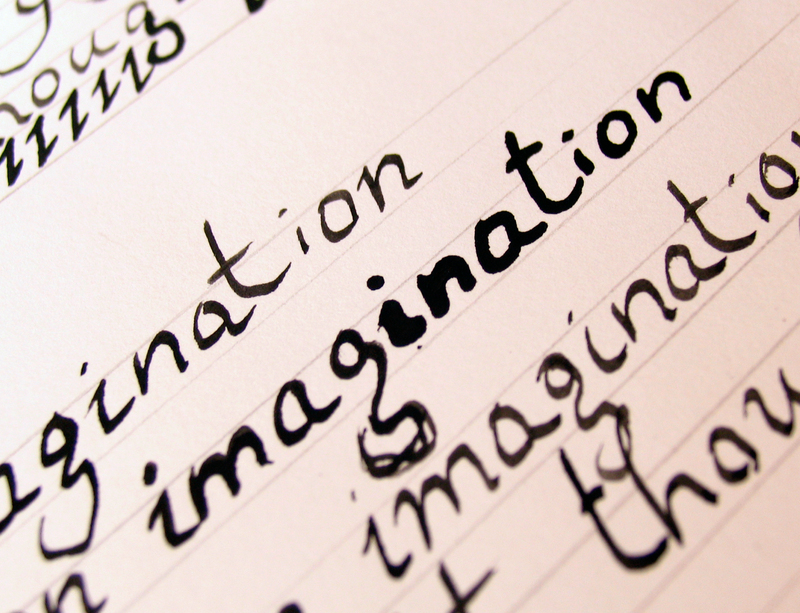 The more data you come across, the more it sparks those creative ideas for your story. These are just things I’ve found helpful. For those who’ve broken through their boundaries, what are some things you’ve found helpful when gathering data? This entry was posted in Writing and tagged aspiring writers, detective, forensic, Jamesreid-author, murder mystery, mystery novel, novel, Partners in Crime, passion, writers on January 8, 2014 by J Reid.